i rock paper and scissors: 17Turtles 3Birds Studio Team Up! 17Turtles 3Birds Studio Team Up! Here's a new layout I had up on the 3 Birds Design blog, for a team up with 17Turtles Digital Cut Files. There are so many cute designs in the 17Turtles shop, I had a hard time choosing, but I finally decided on “Everyday Polaroids 1”. I love that it not only has the polaroids, but five different titles to go along with it! 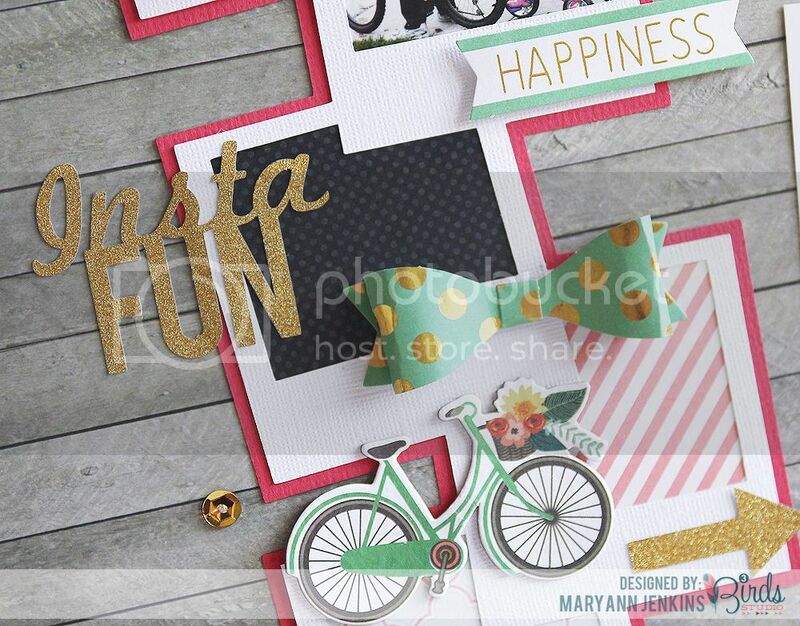 The “insta fun” title was perfect to use with my photos, and looks so pretty cut out of the gold glitter paper from the 8×8 Glitter Paper Pad. 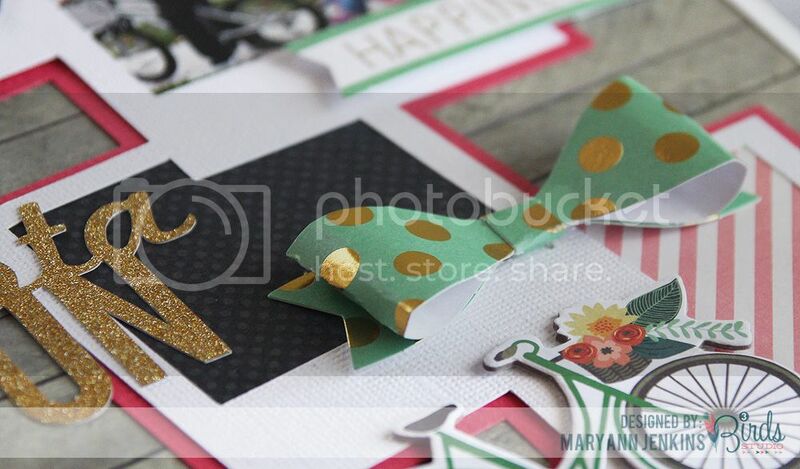 I love the gold color, and it cuts so smoothly with my Silhouette Cameo! I used some of the darling embellishments from the Flora Festival Premier Page Kit along with sequins and the super sweet little bow from the Touch of Glimmer Embellishment Kit; it gives just the perfect amount of dimension to my layout! Be sure to check out all the great designs in the 17turtles Etsy Shop, there’s something for scrapbookers, paper crafters and card makers too! And, to celebrate this team up, we are inviting you, our 3 Birds Fans, to play along by creating and sharing a project made using any 3 Birds products and a cut file from 17turtles. Once you have finished your project, share it with us on our either the 3 Birds Facebook page or the 17turtles Facebook page. 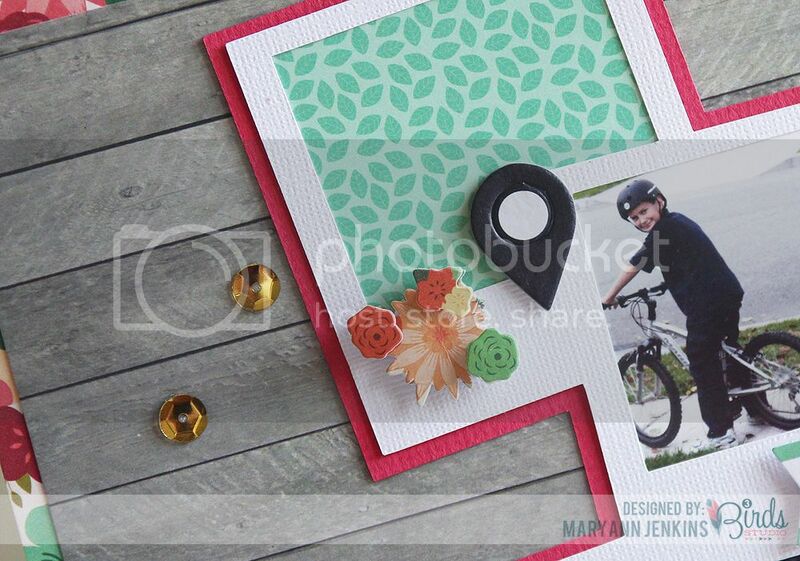 From all of the shared projects, we will randomly select one winner to choose 2 products of their choice from the currently available 3 Birds Design products and their choice of 5 digital cut files from the 17turtles Shop. You have until November 3rd to enter your project, and the winner will be announced on the 3 Birds blog on November 5th! 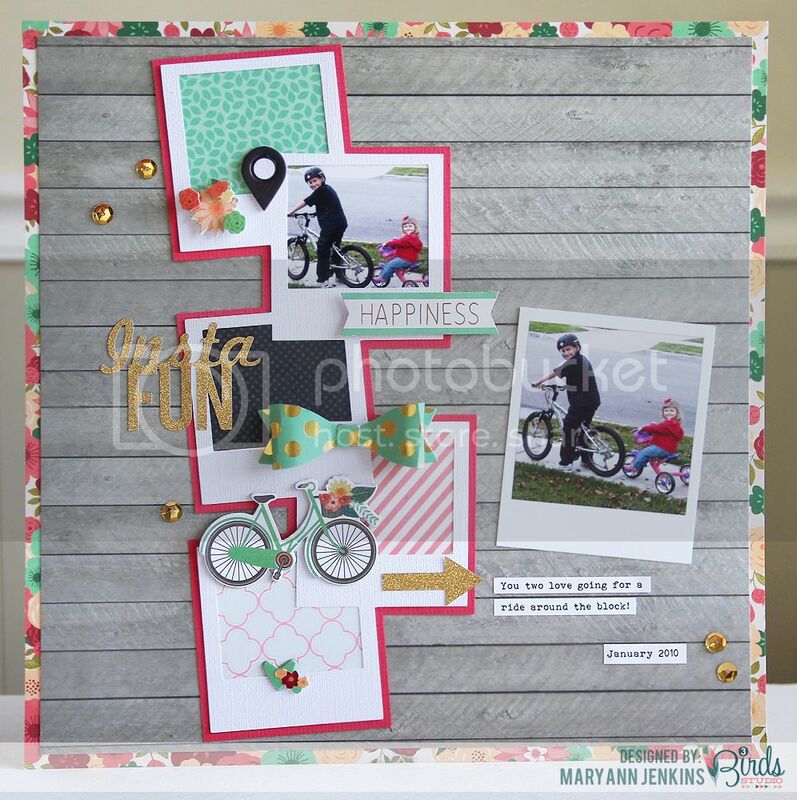 Awesome layout Mary Ann! Love the pops of color, with the wood grain!! Great page! Love how you've used all the Polaroid frames!